The books on this list are my very favorites that were published in 2012, and would make great gifts! 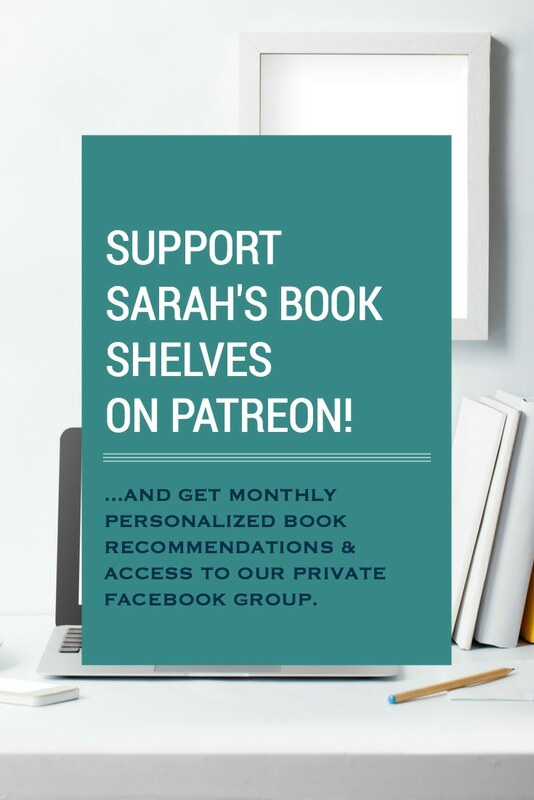 For those of you that aren’t considering books as gifts because so many people use Kindles, you CAN give a specific book as a gift to someone with a Kindle (see Amazon Guide to Giving/Receiving Book Gifts on Kindle). Summary: Willie Sutton, the notorious Depression-era bank robber who was on the FBI’s first ever Most Wanted List, is released from prison on Christmas Eve and takes a newspaper reporter and photographer on a trip down memory lane. My Thoughts: Sutton contains lots of action that you would expect from a story about a bank robber – two of his escapes from maximum security prison left me wondering if he was the inspiration for Andy Dufresne’s breakout from Shawshank State Penitentiary. But, Willie Sutton wasn’t your average bank robber – he seriously studied his craft, was an avid reader, fancied himself a “right guy”, and was considered somewhat of a folk hero by much of the general public. Moehringer probably portrayed Sutton as a much better guy than he actually was, but it was great for the book. Sutton is not just driven by a good story, there is a pleasant rhythm to Moehringer’s writing style – short sentences, pared down language, and spot on dialogue (especially Sutton’s). Summary: Set in 1845 New York, Timothy Wilde finds a young girl covered in blood in his first days as a New York Copper Star (early incarnation of the NYPD), which sets him on a path to solve a mystery of disappearing child prostitutes. My Thoughts: This is a great book that, while historically accurate (George Washington Matsell, head of the Copper Stars, was a real person), reads like a suspenseful mystery. TGOG is set during the Irish potato famine, during which many Irish Catholics immigrated to New York, causing massive racial and religious prejudices in the city. Faye does a great job portraying this social upheaval, especially the anti-Catholicism, while weaving it so well into the narrative that you don’t even notice that you’re learning. The murder mystery is compelling and does not have an obvious solution. The main characters are likable and surprising – most are not who they seem to be by the end of the story. This book is a fun way to learn about old New York and the formation of the New York Police Department. Summary: Anti-Terrorist Task Force Agents John Corey and his wife, Kate, are recruited to track down one of the masterminds of the USS Cole bombing in Yemen. My Thoughts: If you’ve read any of Nelson DeMille’s other John Corey novels (i.e. Plum Island, Night Fall, Wild Fire, The Lion’s Game, or The Lion), you can expect more of the same from The Panther. John Corey’s sarcastic and politically incorrect commentary is on full display (despite sometimes overdoing it) and The Panther is packed with terrorist fighting action. The plot twists and turns make for an easy read that is hard to put down. But, DeMille really differentiates The Panther from his other Corey novels through his focus on the country of Yemen (“dysfunctional would be an improvement”). DeMille tends to write about topics that are pertinent to the current anti-terrorism reality and Yemen is certainly a rising Al Qaeda hotbed and terrorist threat. His description of the country, the people, the government, the Islamic Fundamentalists, and the war for control (between the Yemeni government, Al Qaeda in the Arabian Peninsula, and the Yemeni tribal warlords) is refreshingly candid and different from anything you’ll see in the news about this country. The Panther is a double whammy – thrillingly plot driven and informative. Summary: Henry Crumpton, counter-terrorism expert and leader of the Afghanistan campaign for the CIA, discusses his career, the Afghanistan war, and US counter-terrorism policy. My Thoughts: I was worried this book might be too technical, but Crumpton did a great job making it entertaining for average readers. I learned so much about our intelligence efforts, particularly relating to Al Qaeda BEFORE 9/11 and during the Afghanistan war. I never knew that the initial attack was run by the CIA – not the military or the Dept. of Defense – because they were the only ones with an understanding of the enemy. I was fascinated by the relationship between Washington politics and intelligence, the development of the Predator drone first as an intelligence gathering tool and then a weapon, and the use of many private sector executives (including Fortune 500 CEOs and University Presidents) to gather foreign intelligence and recruit foreign agents. Summary: The stories of the relationships between former and current U.S. presidents from Herbert Hoover through Obama. My Thoughts: This book is a totally unique way to view the office of the Presidency and the Presidents themselves. It’s not a policy book – the focus here is on personalities and relationships. It’s somewhat amazing that the same people that will selflessly go to any length to protect the office of the Presidency will also selfishly go to any length to rehabilitate or shape their personal legacies. Obviously, these two goals often conflict, resulting in some drama. Nixon was famous for constantly trying to erase his legacy of Watergate and for being unable to step back from the “policy game”, while Carter fancied himself a master diplomat and was famous for “going rogue” under the guise of “helping” sitting Presidents conduct foreign policy. The Presidents Club explores some fascinating bi-partisan relationships that blossomed after brutal campaigning ended: Clinton often talked foreign policy with Nixon, Kennedy consulted Eisenhower after the Bay of Pigs fiasco, and, as has been well-publicized, Bush 41 and Clinton partnered on a variety of projects after both left office. This book is easy to read and is a must for anyone interested in Presidential history. Summary: A Cuban cop and his hometown girlfriend become entwined in the racial dynamics, local politics, and high rolling society scene of present-day Miami. My Thoughts: I liked Back to Blood a lot, but I didn’t love it as much as some of Wolfe’s others. Among Wolfe books, it was far better than I Am Charlotte Simmons, not as good as Bonfire of the Vanities (but, Bonfire is on my All-Time Favorites List, so is a bit hard to match) or The Right Stuff, and about on par with A Man In Full. Back to Blood is typical Tom Wolfe – both in the writing style (which is over the top at times with all the repeating repeating repeating repeating words) and in his satirical skewering of social phenomena. In Back to Blood, his poison pen focuses on cigarette boats (and their owners), the high end art world (particularly Art Basel Miami, the contemporary art show), TV doctors (“shloctors”), and reality TV. This book is a true caricature of a city – but is a little light on plot. However, Wolfe included a billionaire art collector and his psychiatrist, Russian oligarchs, and a Haitian brother and sister to what I described in the summary to spice things up. I personally didn’t mind the slim plot because I enjoyed learning about the political and racial dynamics in Miami, found the city caricature fascinating, and thought his character development was exceptional. Summary: Following the disappearance of his wife, Amy, Nick Dunne faces questions about his marriage from the police, the public, the media, and, most importantly, from himself. My Thoughts: This book is a psychological thriller that reads like chick lit (in a good way). The story is utterly horrifying and I couldn’t put it down. The main characters are smart, witty, and clever – for better and for worse. The story turns on its head at multiple points – I said “holy sh*t” out loud more than once because I was caught completely off guard. But similar to the scene with the coffee mug at the end of The Usual Suspects, once the truth reveals itself, all the little details fall into place. I don’t want to say too much more about it because enjoying the unexpected twists are key to this book. Summary: A twenty-six year old woman tries to recover from her divorce and the death of her mother by spending three months hiking the Pacific Crest Trail (PCT) alone. My Thoughts: I heard great things about this book before I read it – from friends and online reviews – but, I was still skeptical about how a virtual one character story about a woman in the wilderness was going to stay interesting for 300+ pages. Happily, I was wrong and loved this book! I enjoy hiking, but my version of hiking is a couple hour excursion with some friends, so I cannot say that I went into this book with a keen interest in “hiking” in the PCT sense. Yet, Strayed’s storytelling and writing style managed to keep me engaged on every page. 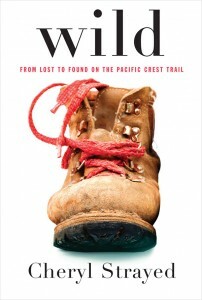 She interspersed the admittedly colorful details of her “before” life with her hike on the PCT, giving the story many dimensions and additional characters. Strayed is a complex person. At times, I found her self-pitying, rash, self-absorbed, and irresponsible. At other times, I found her inspiring, mentally tough, brave, and resourceful. Overall, I think her complexity as a “character” was part of what made the story compelling and she ended up being someone I rooted for. Finally, I can add the PCT and long distance hiking as a topic that I’ve learned a bit more about, an outcome I always appreciate in a good book. Summary: Laura Endicott finds a picture of an Armenian woman from the time of the 1915 genocide, and uses it to trace the history of how her Armenian grandfather and grandmother from Boston met while her grandmother was volunteering for the Friends of Armenia in Aleppo during the genocide. My Thoughts: Wow – I followed a book about post-EMP savagery with one about the Armenian genocide (“The Slaughter You Know Next to Nothing About”, according to the narrator)…talk about back to back seriousness. Though the topic is serious and tragic, this was an amazing story with some happy moments. I liked how the story of Laura’s grandparents was interwoven with her family memories and present day experience researching the book. Like Laura said, I was one who knew next to nothing about the Armenian genocide, so I learned a lot. I should warn you that this book is very different from Bohjalian’s The Double Bind and Midwives, but very good nonetheless. Special Note: Honestly, this book would be great for anyone who doesn’t mind a 960 pager! Summary: In the sequel to Fall of Giants, the second generation of the five families from FOG experience World War II, from the build-up through the aftermath. My Thoughts: I recommend reading Fall of Giants before tackling WOTW, since Follett does not recap the background of the five families who star in this book. That being said, I loved finding out what happened to the Fall of Giants families and, though Follett focuses on the second generation, the original family members still play a role here. I learned an incredible amount about WWII – especially about how the German people could possibly allow the Nazis to rise to power. I was also fascinated by the West’s alliance with the Soviet Union and the implications of the fact that they (the West and the Soviet Union) would inevitably end up enemies after the war ended. 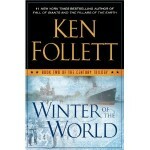 And, most importantly, the characters and Follett’s storytelling made all this history highly entertaining! I can’t wait for the third book in this trilogy (Edge of Eternity – expected in 2014), which will take place during the Cold War. Special Note: Make sure the recipient of this book is open to reading about odd topics. Summary: Starting in an all-boys school in 1960’s Vermont and spanning 50 years, Billy Abbott encounters multiple interesting characters through his experience with his “sexual differences” and “crushes on the wrong people”. My Thoughts: I was so excited to read Irving’s latest – and it didn’t disappoint! Though IOP’s topic is similar to Until I Find You, I thought IOP was far better. Irving writes about a heavy subject with humor and includes a cast of characters that are eccentric, entertaining, and lovable. Irving’s use of italics brings the characters’ dialogue to life – often with hilarious result – you can just hear these people talking as you read. IOP manages to be funny, sad, heartwarming, strange, surprising, and inevitable all at once. Summary: Clay Jannon’s new job at a bookstore with a mysterious collection of books and clientele leads him to try to solve the mystery of a centuries old secret society. My Thoughts: This book is about much more than a bookstore – it touches on code breaking, Google (the company), computer capabilities, ancient books and fonts, and incredibly odd people. I am not really interested in any of those things, but loved this book. I think a writer is special if he/she is able to make me love a book about something I’m not interested in (i.e. Michael Lewis’ Moneyball – I couldn’t care less about baseball) and Sloan does that here. This book is wonderfully quirky with a weird concoction of ancient and futuristic mixed in with hints of Dan Brown. And, the writing style is catchy and modern. I have no clue how Sloan ever came up with a plot like this and made it remotely believable, but my hats off to him. Sarah, I haven’t found any Peter Mayle books on your blog, although I’m not that good at searching for things. And don’t forget Ruth Reichl. Thanks for the suggestions! I will add them to my list. I have not read any Mayle or Reichl, although I am familiar with her as a critic. Have also heard about Fisher.